In a medium skillet, over medium-high heat, melt butter. Add onion and garlic. Cook until onions are translucent, about 4 minutes. Transfer onion mixture to rice cooker cooking pot. 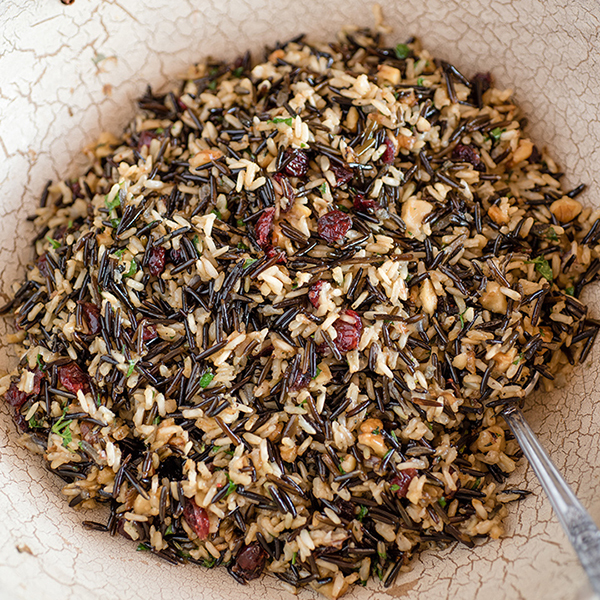 Add wild rice, brown rice, chicken stock, water, salt and pepper. Stir well. Select rice cooker WHOLE GRAIN setting. Press START. 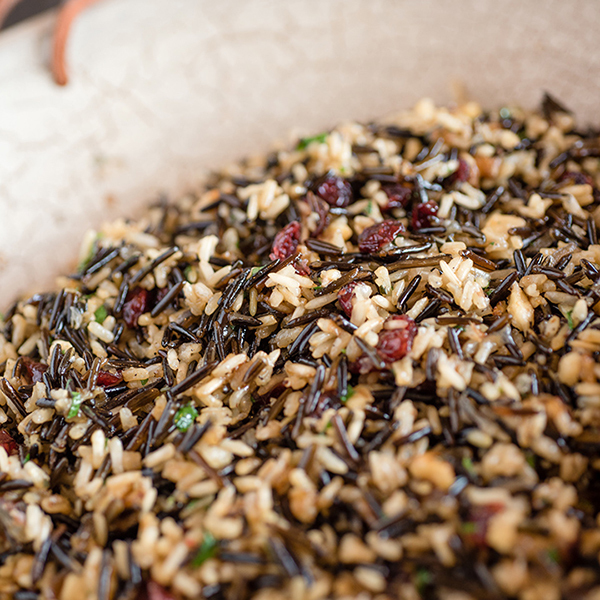 When rice is done, stir in cranberries, walnuts, parsley, rosemary and thyme.